Kratos Defense & Security Solutions, Inc. (Nasdaq: KTOS) has received a $4.2 million contract award for the production of approximately 50 specialized systems in support of a Command, Control, Communications, Computing, Combat, Intelligence, Surveillance and Reconnaissance (C5ISR) program for a National Security related customer. 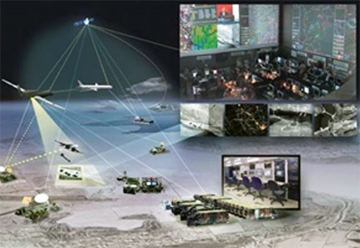 Kratos Modular Systems Division, which received this contract award, is an industry leader in providing specialized systems in support of unmanned aerial drone system, missile defense, radar, satellite communications and other C5ISR platforms and programs. Work under this recent contract award will be performed in a secure Kratos manufacturing facility. Due to customer related, competitive and other considerations, no additional information will be provided related to this recent contract award. Tom Mills, President of Kratos Modular Systems Division, said that the company's business is focused on supporting national security customers and their mission critical programs, and the firm's entire organization is proud to have received this recent contract award.